The Wilson Tour squash bag comes with revolutionary ThermoGuard and MoistureGuard technologies that extend the life of your favourite racquets by protecting them from moisture and heat damage. The bag features two large main compartments that securely store up to 6 rackets (3 each), as well as outer pockets that provide extra storage space for all the necessary accessories. Complementing its basic features the bag comes with adjustable, padded shoulder strap and two piece centre handle that provide easy and comfortable transportation. 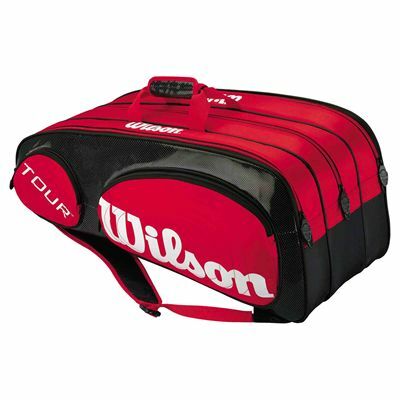 for submitting product review about Wilson Tour Squash Bag.